For a refresher on needle felting and needle felting techniques, you can always refer back to my Needle Felting 101 post here. 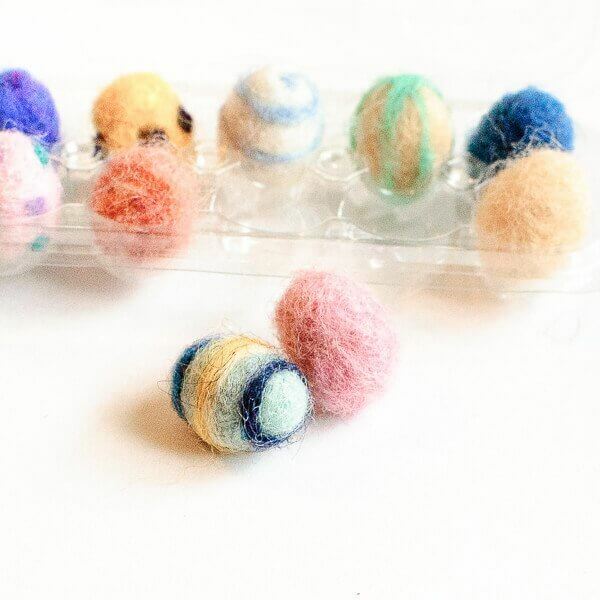 To make the eggs, grab a small amount of wool roving and roll it in your palms a little bit to form a ball. Then needle the wool into an egg shape (but not too firm because we want to be able to decorate it). Once you have the shape you want, grab a little wisp of another color and decorate your egg. Just use the needle to poke the wisp into the design you like. Go crazy … think stripes, or waves, or polka dots, or letters! oh, these are adorable! 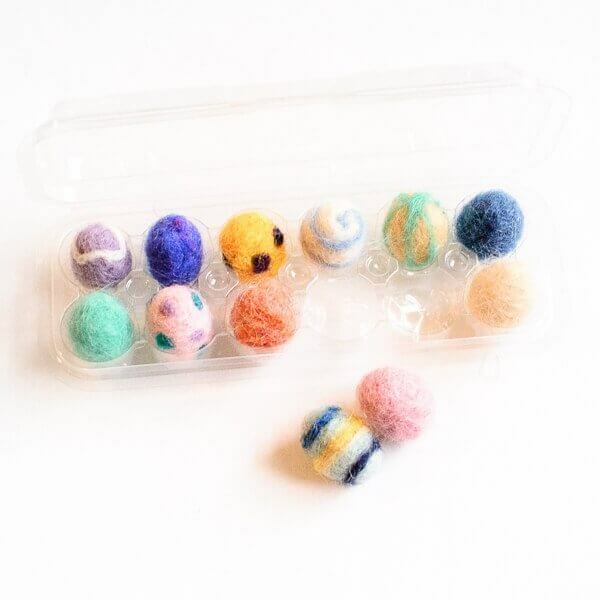 I need to try try needle felting already! It’s so much fun! You will love it, Nancy! These are so cute! I do have a question… Is it easier to felt smaller projects with just the one needle? I only bought the tool that has several needles in it, but I’m wondering if I need to get a couple single needles too. I find it easier to do small items with one needle. I tend to jab myself if I use my tools that have multiple needles … Ouch!! These would make neat decor additions to my entryway! They look so cute – very clever.